All car, truck, RV, marine amplifiers and repeaters listed below are compatible with your Fido service. Fido Vehicle Signal Boosters for cars, trucks, RVs, boats and other vehicles. Signal strength of any carrier is not uniform across the length and breadth of the country. There are areas that have impeccably strong signals, and there are areas that are called, "black holes" or "dead zones" in mobile networking. Should you be in any such non-signal area, it is almost impossible to get any connectivity whatsoever. Beyond these dreaded areas, you will get weaker signals whenever you are distant from a tower, or if a network has poor coverage in that particular area. Fido has a strong reliable network, and it is one of the finest providers, particularly when it comes to HSPA+ technology. Yet, you will have areas that don't get the maximum signal strength. Signals fluctuate the most when you are moving. While on the road, the signal strength may be unreliable. If you are traveling every day or have to be on the road most of the time, then you would need stronger signals that need to be available throughout your commute. The best way to tackle the connectivity issue is to use a Fido signal booster for car. You could be alone in your car, in which case you can do with a single user Fido signal booster for car. If you are traveling with someone or your entire family, then you would need the booster to work for multiple users. Depending on your personal preference and need, you could do with a wired cradle system to boost signal to one cellular unit, or you may want a wireless booster. The size of your car will demand a certain range of coverage from the Fido signal booster for car. Also, the kind of signal you get on a given route that you tread often, will demand a certain level of boost. All these factors are taken into consideration when picking the ideal Fido signal booster for car. Single-user cradle Fido signal booster for car or truck. 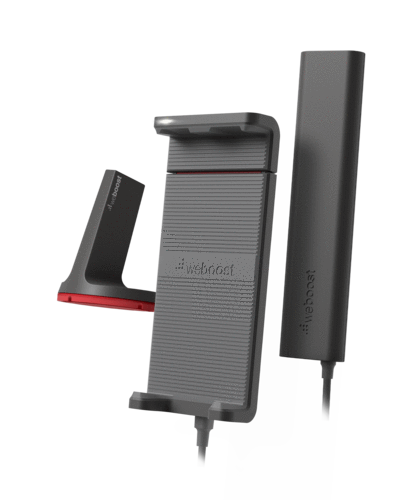 weBoost Drive 3G-S (470106) Cradle Booster Kit is compatible with 2G Voice or 3G Data and is good for a single user. This booster is apt for trucks and vans or SUVs and small cars, as well. You could also use this in boats and recreational vehicles. But as the name implies, this device works for a single user and there is a cradle. Hence, your phone or device will have to stay hooked to the cradle of the booster to get the amplified signal strength. The boost provided by this device is up to 23 dB. There is another distinct advantage of this Fido signal booster for car. It saves power. When you are on the go, you cannot have your phone running out of juice! When the phone is consistently searching for the network or better signal strengths, it will use a lot more of the power. Using this booster will help the phone to conserve power. In effect, your phone battery will last much longer. There is a 4G variant of this Fido signal booster for car, weBoost Drive 4G-S (470107) Cradle Booster Kit. Multi-user wireless Fido signal booster for car and truck. • weBoost Drive 3G-M (470102) Wireless Booster Kit is compatible with 2G Voice and 3G Data. It has the capacity to strengthen available signals by up to 50 dB. The 3G-M Fido signal booster for car is good enough for sedans, hatchbacks, vans and also trucks. You may also use this booster on boats. The device allows multiple users to connect wirelessly. There is a magnetic antenna that must be mounted on the car and it facilitates consistently strong signals. This Fido signal booster for car also has a 4G variant, weBoost Drive 4G-M (470108) Wireless Booster Kit. 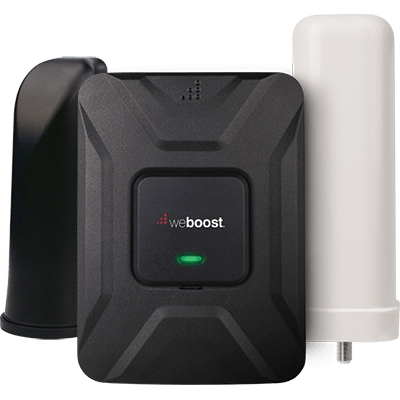 • weBoost Drive 3G-X (470111) Most Powerful Wireless Booster Kit is compatible with 2G Voice and 3G Data and can strengthen signals by up to 50 dB. If you were to compare this booster with other aforementioned ones, then the signal boost will be up to 60% higher. The device has a six feet radius of coverage which is sufficient enough for most personal and commercial vehicles. Uniformity of signals across the coverage area, is one of the most appreciated features of the 3G-X booster. • weBoost Drive 3G-X NMO Antenna (470411) Booster Kit works with 2G Voice and 3G Data. Antenna that comes along, will have to be drilled. You cannot just slap the magnetic base on top of vehicle to mount the antenna as with some other boosters. Larger cars like recreational vehicles and very large trucks do not get enough coverage with six feet radius or other car signal boosters that work in small areas. Larger vehicles require this Fido signal booster for car with its ability to improve the signals by up to 50 dB. While the coverage area for strongest signal boost is still six feet radius, there is farther coverage with reducing boost levels. It would be fair to infer that recreational vehicles of any size will get sufficient network coverage to make calls and you can talk without experiencing call drops. All you have to do is choose an ideal place for the signal boosting antenna. Strategic placement or drilling of the antenna will do the trick. • weBoost Drive 3G-XM (470311) Marine Booster Kit works with 2G Voice and 3G Data. It is ideal for marine vessels such as boats and ships. When you are on the water, you wouldn't get to enjoy seamless connectivity because the towers are far off. However, there is an advantage of having no major obstructions which interfere with signals in major cities. The relatively low traffic blocking the airwaves is also an advantage but one has to get optimum coverage or signal strength to enjoy those advantages. That is what the Drive 3G-XM does. With an ability to boost the signal strength by up to 50 dB, this Fido signal booster is ideal when you are sailing or even when you are being ferried. 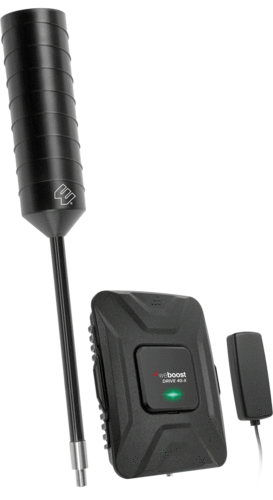 • weBoost RV 4G (470201) Signal Booster Kit For RVs: As the name suggests, it is ideal for recreational vehicles. The primary challenge with recreational vehicles is its size. This device that works well for 2G Voice, 3G and 4G LTE Data has coverage of an impressive 1,500 square feet. Recreational vehicles don't come in sizes that would require that much area but the vast coverage ensures that you get excellent signals when you are within a few hundred square feet of the booster. The device can strengthen the signals by up to 60 dB. Even in areas where the network reception is very poor, you would get a strong signal within 200 square feet of the booster. Fido Signal Booster for Car, Truck, RV, or Boat. You could be using an LG or Samsung or an iPhone on Fido, the signal boosters are compatible with all brands of phones and tablets. If you are using a Wi-Fi connection of Fido, then too you could use these signal boosters. When you are on the go, regardless of the network being 2G, 3G or 4G, pick a relevant Fido signal booster for car and you wouldn’t have to bear network blackouts, call drops or coverage problems.